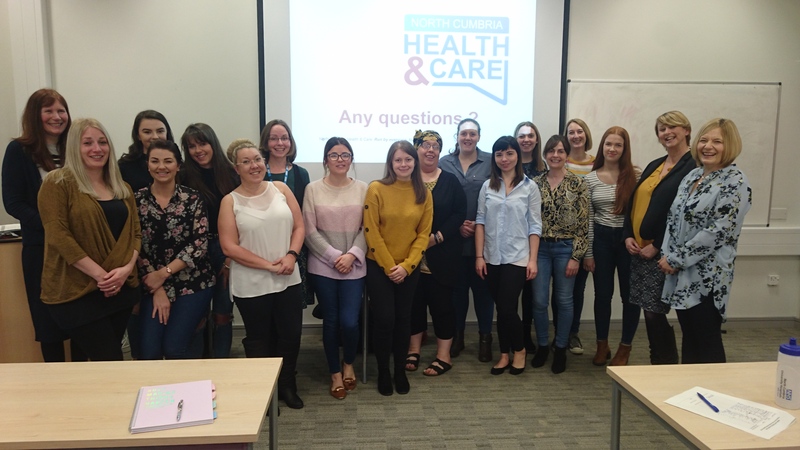 17 Nursing Associate Apprentices have started their two year programme which will enable them to progress their nursing career in the county. The Director of Nursing, Alison Budd highlighted the importance of this new role within the NHS and Cumbria in particular. This role was introduced in 2018 to bridge the gap between health and care support workers and registered nurses. It allows support workers to build on their existing knowledge, skills and experience through a two year, practical programme, and gain a foundation degree level qualification. The apprentices, who will study at West Lakes Campus in Whitehaven, come from a variety of community and acute NHS services across Cumbria Partnership NHS Foundation Trust and North Cumbria University Hospital NHS Trust.